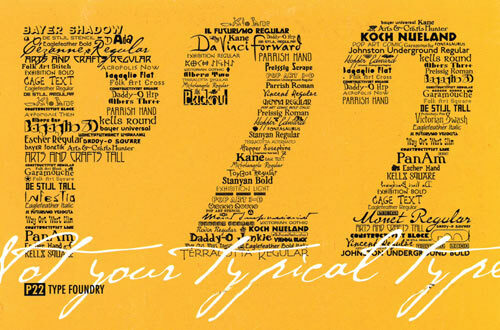 P22 Type Foundry is primarily known for its collection of artist and art history related font titles. P22's main focus has been working closely with art museum and foundations. The P22 font sets were originally packaged in boxes and sold on floppy discs (later CDs) in museums and specialty gift shops around the world (but mostly in the continental United States.) This method of distribution was unlike any other font company's approach and quickly became a solid method for selling fonts to professional designers and casual users alike.